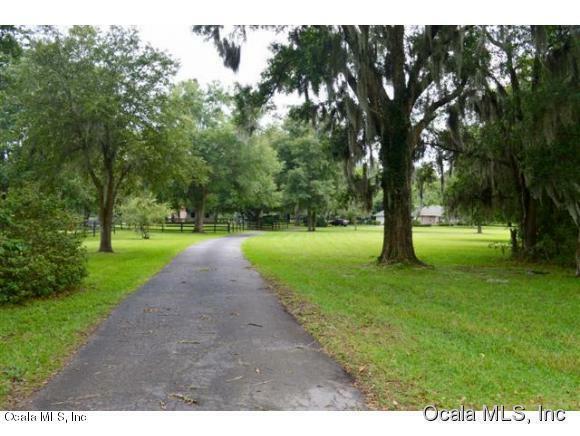 Located in NW Ocala's Prestigious Ocala Downs. Gated Community. 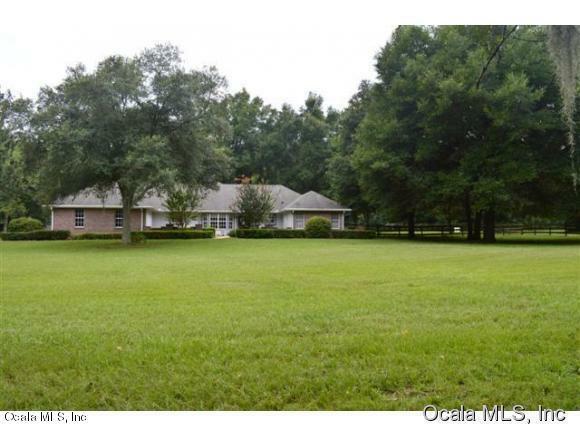 Gorgeous 3 bedroom, 2 bath home on 12.26 Acres. Living room, Family room, Dining room, Kitchen, Double Fireplace, split AC system, water softener, Whirlpool Dishwasher, Jacuzzi in remodeled Master bathroom. 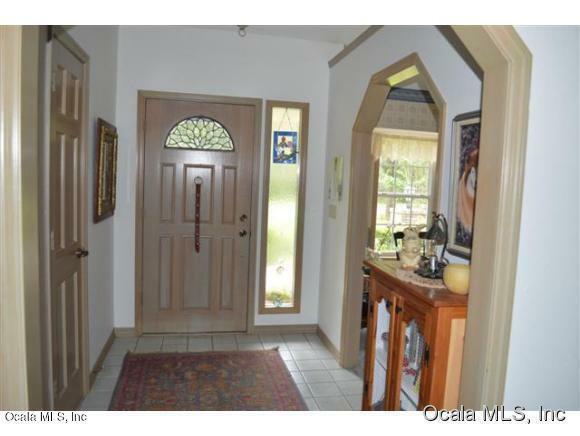 All window treatments except Dining room stay. A/C heated Sunroom, Split face block 3 stall Barn and feed room. 6 Paddocks with automatic waters. 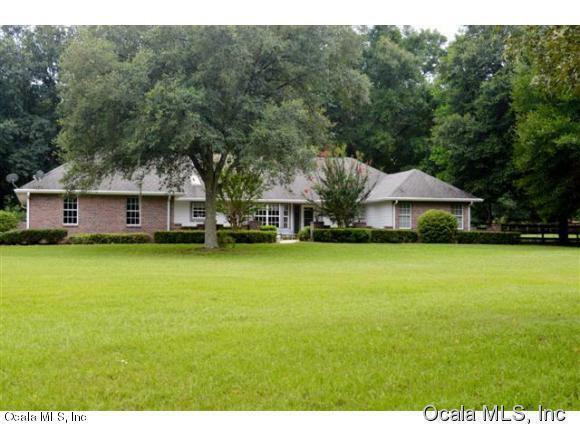 Listing provided courtesy of Paul Fletcher of Worldcorp Realty Llc.